The talk today is all about the Trump administration’s one-page massive tax reform plan, which The New York Times’ 5-column headline calls, “Tax Overhaul Would Aid Wealthiest.” That statement comes from eliminating two controversial taxes aimed directly at the wealthy – the Alternative Minimum Tax (AMT) and the estate tax (known as the “death tax” among some). The Committee for a Responsible Budget, frustrated that the one-pager is too incomplete to score, estimates the plan will cost between $3 to $7 trillion over a decade, settling on $5.5 trillion in revenue loss over a decade. Separately, the CFRB says only a pie-in-the-sky sustained growth estimate of 4.5 percent over 10 years would cover the costs. But that would be more than double the CBO projections, a phenomenon that last occurred in the US in the late 60’s and early 70’s. "The bond market would find less to love. 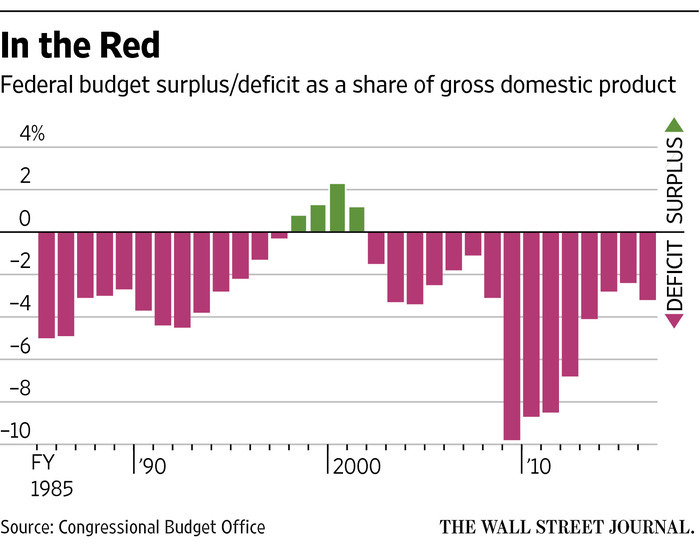 Larger budget deficits would increase Treasury issuance. And, insofar as the plan might boost growth, it could prompt the Federal Reserve to raise rates more quickly and begin reducing the size of its Treasury holdings sooner. The combination of more Treasurys on the market and tighter monetary policy would push long-term rates higher. That could be bad for the bond market—and cut equities’ attractiveness. There is no such thing as free lunch and no such thing as a free tax cut, either."